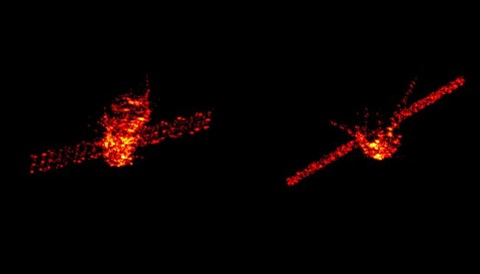 When the Chinese space station Tiangong-1 blazed a trail through Earth’s atmosphere and came showering down over the ocean’s waters in a rain of super-hot debris on April 2 it was a fiery reminder of the thousands of satellites and space junk orbiting overhead, and the occasional fall of a bit of it to Earth. Everything we place in orbit will eventually be slowed down by atmospheric drag and fall back toward Earth. On average, at least one piece of space debris de-orbits each day, though most of them are small enough — smaller than an SUV — to burn up completely before reaching the ground. The burn-and-crash of Tiangong-1 was a bigger concern than usual: 34 feet in length and with a mass of 18,753 pounds, the satellite was roughly the size of a school bus. Because of its size, an estimated 10 to 40 percent of the space station probably survived its fiery re-entry. Fortunately it fell harmlessly into Pacific waters between Hawaii and California. 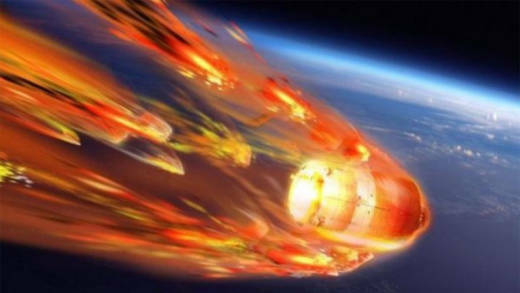 Had anyone been on hand to watch the spectacle, they might have witnessed something like the re-entry breakup of the fictitious Tiangong station depicted in the Alfonso Cuaron film, Gravity. The fall of Tiangong-1 isn’t the first time a large space station has de-orbited. Russia’s MIR station was brought down in a controlled re-entry on March 23, 2001. An attached rocket motor nudged it to lower and lower altitudes, where it broke apart in Earth’s atmosphere and fell harmlessly in pieces into the southern Pacific Ocean, near Fiji. NASA’s Skylab came down in July 1979 in a mostly uncontrolled orbital decay that left the world wondering, “Where will it fall and is there any danger?” The spectacle became a worldwide media-palooza, complete with betting pools, reward offers for recovered fragments, and in some cases panic over an impending rain of hot metal from the sky. I personally recall having a dream that Skylab crashed down in my own backyard. Though NASA tried to direct the re-entry to the ocean south of Capetown, South Africa to minimize the chances of hitting land, cities, or people, Skylab’s disintegration took longer than expected, scattering debris over a wide range across Southwestern Australia. 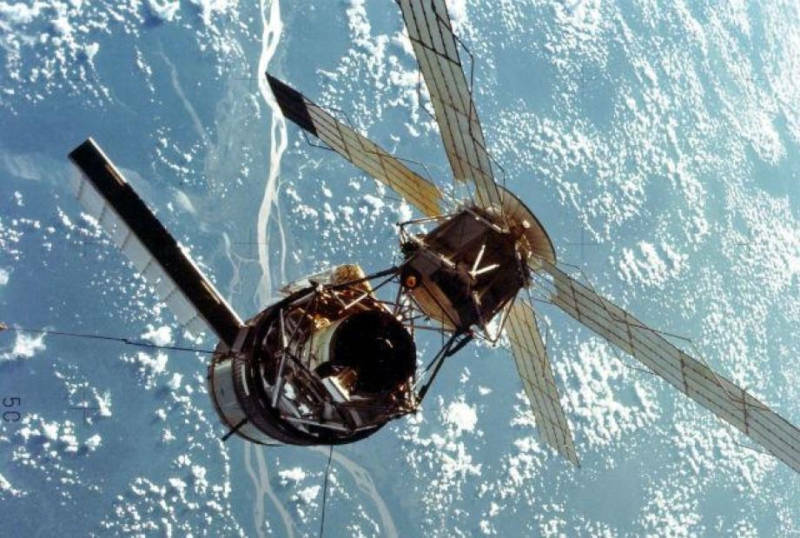 NASA calculated the probability of a piece of Skylab hitting a person at 1 in 152, and with the global population of 4 billion at the time, the odds of any specific person being struck were 1 in 600 billion — safer odds even than winning the Super Lotto jackpot. To anyone’s knowledge, no one was hit. One seventeen-year-old, however, collected 24 pieces of Skylab debris, earning a bounty of $10,000 from the San Francisco Examiner for the first piece brought to its offices. How Much Junk Is Up There, Anyway? Today, Earth is encompassed by a shroud of human-made litter, everything from non-functioning satellites, spent rocket boosters, and ejected payload nosecones, to fragmentation debris formed by their destruction. Most of this is in low-Earth orbit, within 500 miles of the Earth's surface. An estimated 170 million bits of debris smaller than a centimeter, 670,000 objects between 1 and 10 centimeters, and 29,000 larger objects orbit the Earth — which would make me nervous if I were an astronaut on the International Space Station. Since orbital speeds range as high as 17,000 miles per hour, even a rogue flake of paint can put a hole in a functioning satellite or human-bearing spacecraft. In fact, this has happened, though with no human casualties so far. The U. S. Department of Defense actively tracks about 20,000 objects large enough to be detected: at least the size of a softball for objects in low-Earth orbit, though that minimum detectable size grows larger at greater distances. The orbital data for known space debris is important for calculating impact probabilities for spacecraft. A hypervelocity strike by a grapefruit-sized chunk of metal could cripple the International Space Station or render it uninhabitable by humans. In the past, projected impact risks have resulted in the ISS being moved, or its crew sheltering in a Soyuz spacecraft, ready to evacuate if needed. 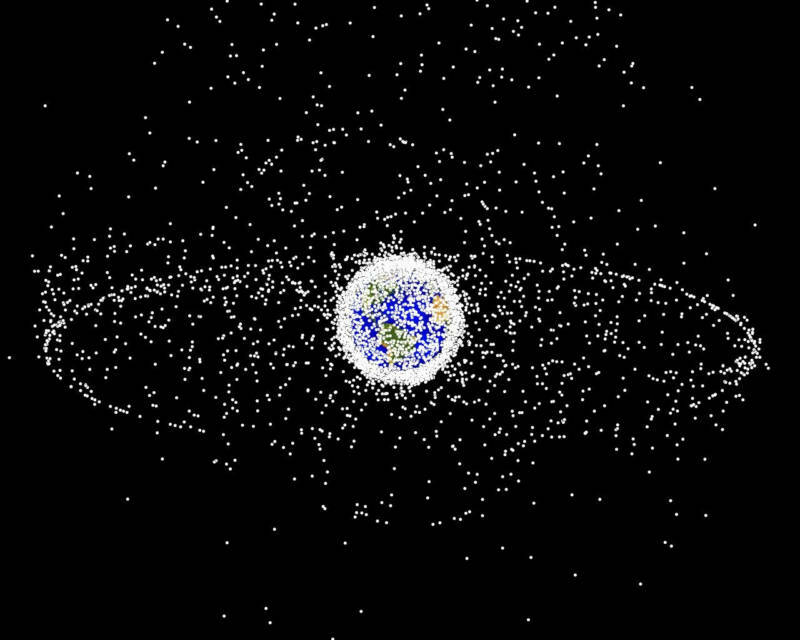 How Nervous Should an Astronaut Be About Space Debris? By the numbers, even 20,000 cantaloupe-to-SUV-sized objects crammed into the same low-Earth orbit as the ISS may not seem very crowded. The orbital area available at that altitude is 217 million square miles, so on average each of those objects is over 100 miles apart. If you were driving your car in Oakland, you probably wouldn’t worry too much about colliding with a car driving 100 miles away in Merced. Still, if every car were traveling at 17,000 mph, you’d probably keep your eye on the rear-view mirror.